today's polish is Orly Sparkling Garbage. it's a gorgeous light green loaded down with scattered holographic particles! 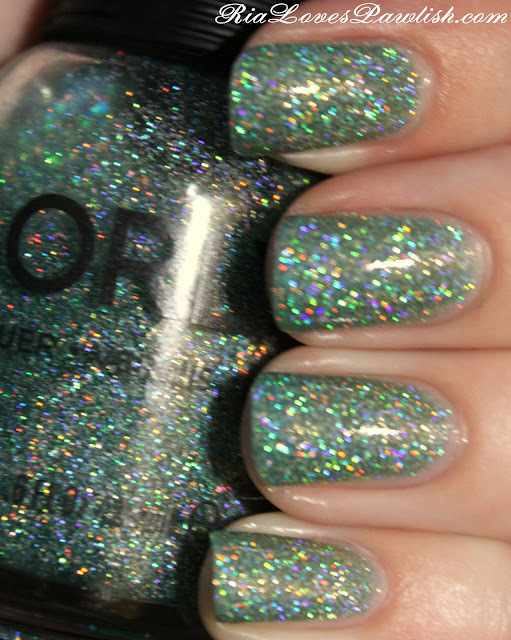 it's really eye catching and beautiful on the nail, no camera can capture all the holo goodness. i was worried about opacity because the base is a quite sheer green. on coat one you think that it's impossible to build it up, but coat two really adds a lot of coverage. three coats gives you full opacity! 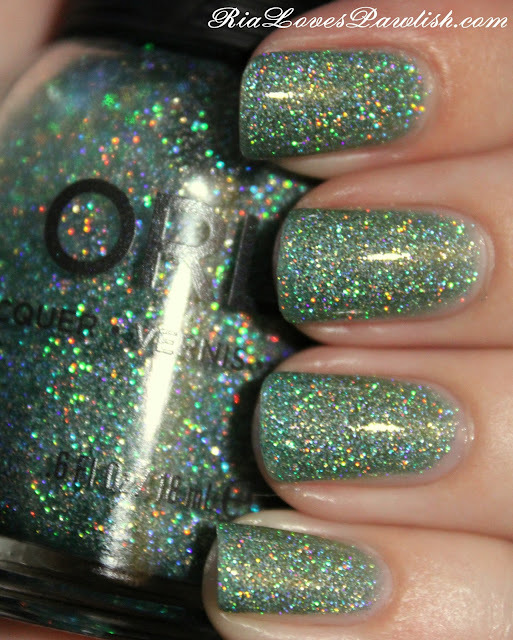 a shine topcoat brings out all the holo yummies instead of dulling it... total win. three coats Sparkling Garbage, one coat Seche Vite. here it is a bit out of focus... but it's way more sparkly and gorgeous in person! this is my first bottle of Orly since they redesigned the bottle... i have to say i'm not a big fan. i think the old bottles were much cuter! Sephora by OPI I'm So Sari! Sally Hansen Fuzzy Coat Haulage! Sally Hansen Sugar Coat Haulage! Matte Purple Nails with Rainbow Flakies! Flirt Nail Art Stamping Haul! Orly Shade Shifter and Mash Up YouTube Videos!